In mid-January I was passing through North Carolina and decided to pay a visit to Guilford College, in Greensboro. I’m so glad that I did! I think that I’ve previously mentioned in this space that I am an alumn of Hampshire College, and so it’s understandable that I have a soft spot for small, liberal arts colleges that give students a chance to form close mentorship relationships with faculty while also fostering a deep focus on issues of social justice. All I knew previously about Guilford was that it was a Quaker college, and that one of my former students went there and loved it. Now that I’ve seen it up close I can see why. Guilford would be a great match for students interested in pursuing public service during and after college, but I think it would also be a very good fit for a student who wants a “small” college with “big” college spirit and sports. It’s definitely one of the most interesting colleges I’ve visited in the last few years, and I recommend it heartily. Just under 2,000 undergraduates (approximately 53% women/ 47% men). Guilford is somewhat selective, having accepted about 1,800 of their 3,000 applicants to fill a first-year class of 350– an overall acceptance rate of around 60%. 38 majors and 56 minors for undergraduates; students can also combine majors into a customized area of study. Pre-dentistry, pre-medical, pre-ministerial, pre-engineering and pre-law programs. Guilford students can get Bachelor of Arts, Bachelor of Science, Bachelor of Fine Arts and Bachelor of Music degrees. NCAA Division III; 18 varsity teams (9 women’s, 9 men’s); numerous club and intramural sports. Over 44 clubs and organizations on campus; no fraternities or sororities. On campus housing is guaranteed and virtually all students live on or near campus. Greensboro is a vibrant, interesting city a short drive away but nice shopping and dining options are within walking distance. Tuition, room & board and fees total just about $48,000 (depending on housing and meal plan options). Parents need to fill out the FAFSA (Free Application for Federal Student Aid). Guilford has Early Decision, Early Action and Regular admissions options. The ED deadline is November 1, the EA deadline is December 1, and the RD deadline is rolling (which means that it’s still a good idea to apply sooner rather than later). Students use the Common App or Guilford’s own application. Guilford is test-optional, so students do not need to send ACT or SAT scores if the tests don’t show them at their best. But applicants who opt to forego sending test scores will need submit an academic portfolio that includes at least two examples of writing, one of which must have teacher grades on it. Guilford College traces its history back to 1837, and played a role in the Underground Railroad in antebellum North Carolina; in 1990 the entire campus was added to the list of national historic places. Guilford became a four-year college in 1888, and has always been co-educational. Guilford has also always been associated with the Society of Friends, or Quakers. According to Assistant Director of Admission Fernando Gomes, while Quaker heritage is still very important to Guilford, it is not a “religious” school; only 6% of students are Quakers, and while there are “planned meetings” on Sundays, the campus ministry building hosts over 15 different religious organizations. Guilford students call professors and administrators by their first names. Having had the same experience at my college, it takes getting used to at first, but really goes a long way towards building the sense of being part of a community of scholars. Guilford seems to be a “liberal” campus, but (perhaps due to its Quaker background), one that is very welcoming of divergent beliefs and one that has a much more diverse population than I would have expected. Some of that diversity is economic: according to the Federal government’s College Scorecard, 43% of Guilford’s students come from families that earn less than $40,000–that is a large number (compared to, say, Duke University, which comes up at 14% or UNC-Chapel Hill, which has 21% of students from low-income families). A further example of diversity includes a freshman class this year with 49% students of color. The Guilford admissions office works hard to give visitors a personalized experience; besides the usual information session students get a personalized meeting with an admissions officer and I received a lovely handwritten card from Jocelyn, my super tour guide, about 10 days after the visit. As you can see from the picture at left, I also had my own visitor’s parking space! This doesn’t seem to be a level of treatment just for visiting admissions professionals, because a young woman was visiting that day with her father, and she had a parking space too. The campus is just beautiful. Brick architecture, mature trees and sloping, expansive green spaces are the highlights. There is also a thriving working farm (which contributes much of its produce to the campus dining hall and also to local food charities) that I did not get to see on my visit. Guilford College is located in Greensboro, the seat of Guilford County and part of the ‘Piedmont Triad’ which also includes High Point and Winston-Salem. The area is home to over a quarter million people and is considerably more liberal than the majority of the state (North Carolina voters narrowly preferred President Trump to Secretary Clinton in 2016, but the former First Lady won Guilford county by almost 20 percentage points). Greensboro and its surrounding area has sports, music, arts and a thriving dining scene that makes it seem like a very congenial place to spend four years of one’s life. That second one might seem trivial, but it’s not. I have worked with a lot of students who have said that they would prefer a smaller school, but they really want to have a football team to cheer for. Guilford gives the best of both worlds–students can be part of the panoply of college football, but compared to a bigger school they might actually be cheering for their friends, not just for laundry. Everywhere I turned I saw examples of student work to make the world a better place, and it is impossible to imagine that anyone could attend Guilford and not be motivated to try to help others, either in the local environs of Greensboro, or on the other side of the globe (48% of students study abroad during their time at Guilford). From the farm center to the solar panels to the dining hall to the emphasis on community service Guilford tries to act locally to make a difference globally. They even have special elliptical machines in the gym that help power the building, and the faculty office building has a shower to encourage professors to bike to work. That building (Archdale Hall) is the oldest on campus, but was recently renovated to attain LEED Silver status while still retaining its 19th century charm. Good job, Guilford! The campus was full of art that made me think–I was particularly impressed by a series of posters I saw all over the campus (pictured at left) about consent. I also liked the statue outside of the science building that was a bike stand shaped like an endorphin molecule (for the pleasure derived from exercise) and the murals near the community service offices that showed Guilford students at work all over the world. Guilford has six dorms, three themed houses and two apartment complexes on campus. Pricing for housing varies with the levels of amenities, but all of the rooms have air conditioning, a necessity in humid North Carolina! There is no Greek life at Guilford, but the themed options (Environmental Sustainability, Sustainable Farming, and Cross Cultural and International) are there for people who like to live with like minded peers. As you’d expect from a small college, students get to work closely with their professors. There is a 14:1 student to professor ratio, but small classes are the rule, not the exception. My tour guide, Jocelyn, is an education major and she has had classes with as few as three and six students. In fact, the largest one she’s had was introduction to psychology, with 26 students, which is remarkably small for such a typically oversubscribed course. Students sit around a table, or with desks arranged in a circle to help break down the hierarchy and make classes a place for discussion and collaboration. Admissions-wise, applicants can choose from a binding Early Decision plan, a non-binding Early Action plan, or regular, rolling decision options. Guilford claims to take a “holistic” view of applicants. Unlike some much larger schools, (such as the University of Virginia), I actually believe Guilford when they say this. Partly it is due to the comparatively small number of applicants (around 3,000), of whom more than half will be admitted, but also it is due to the self-selecting nature of Guilford students. Mr. Gomes said that they are looking for “self-awareness” and “open-mindedness” which are not common among 18 year-olds, and are even more difficult to convey in a college essay. If at all possible, I think that interested students and their families should try to visit the campus to meet the admissions staff–this will help reinforce your case. Another aspect of “holistic” admissions is Guilford’s test optional admissions method. To take advantage of this, students submit a portfolio of work including at least one example of graded expository writing, and one that can be un-graded along with optional artistic, musical or other examples of student work. This is growing more common, and it’s a good idea for students (especially those who do not score very highly on standardized testing) to get in the habit of keeping their school work when they get it back from teachers just in case they can use it as part of their application to college. I have visited dozens of colleges in my time, and I always look at a school through two lenses: first, to see if I can recommend it to one of my students, and second if I would want to go there. Guilford is absolutely a place that I will recommend to a wide variety of students, and it’s also a place that I wish I could attend myself. The friendliness, the collegiality, and the unwavering focus on social justice and improving the world are an unbeatable combination. For a student who wants to be actively involved in her/his learning, who is interested in the planet and the people who live here, who wants to make sure that everything they study has a “values” component, and who is interested in being part of a lively community with strong school spirit, Guilford would be a great place to look; it’s on the short list of my favorite colleges in America. 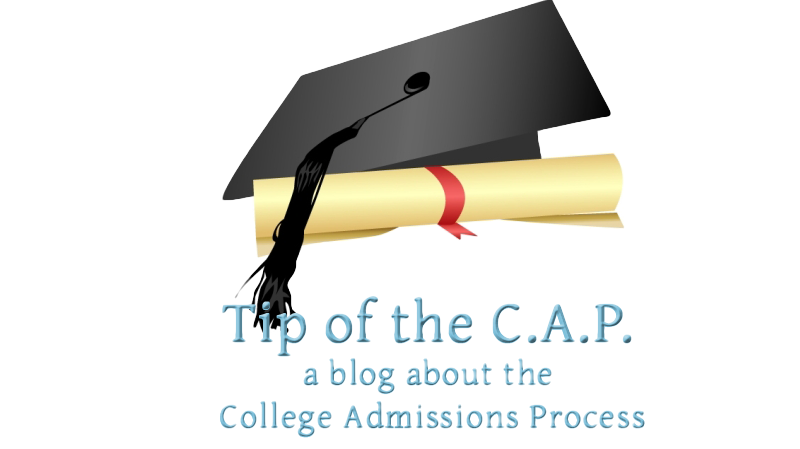 See the full series of my blog posts about visits to colleges and tell me what you think! This is an excellent, well-illustrated article about a wonderful college that deserves our universal support. Nicely done, Ethan.